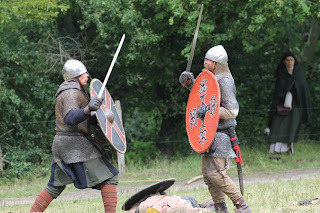 Note: Since I consider that this topic has been on recent discussions around the Viking and Early Middle Age reenactment scene, I’ve decided to write this in English. I apologize if there are some mistakes in the redaction. 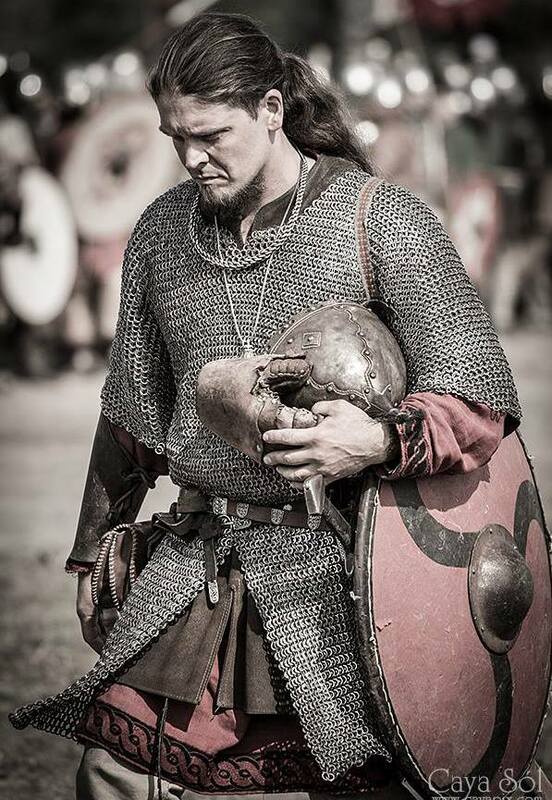 This text is inspired by the article made by Tomáš Vlasatý about the use of padded armour under chainmail during the early Middle Ages (You can read the English translation here). 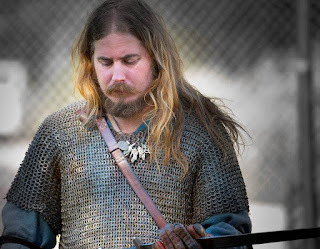 This has been a very problematic aspect inside the Viking reenactment world, since there’s no written or archeological evidence of this kind of protection, so people doesn’t know what to use under their chainmails and try to find solutions that are not very historical accurate. One of these solutions has been to wear fabric gambesons of different styles (with lineal or rhomboid sewing) filled with cotton, horse hair, wool, blankets, or some other kind of materials, in spite of knowing that this kind of armour just began to be commonly used in the middle of the 13th century, that is, almost 200 years after the end of the Viking Age. The organizers of festivals have no paid too much attention to this, since they say that there are no sources, so everything can be possible. 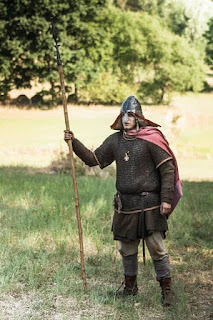 Nevertheless, I share Vlasatý’s opinion that says that “The goal that we reenactors should achieve is the least disturbing look that is in accordance with what we can see or read in sources”, coupled with the fact that I personally believe that a large number of reenactors does not make a rigorous research and usually just copy what they see from other groups. In the cited article, the author uses some references from the Sagas, as well as some tracks from pictorial sources. What I pretend to do in this humble text is to complement with some other pictorial sources that I’ve recently discovered. 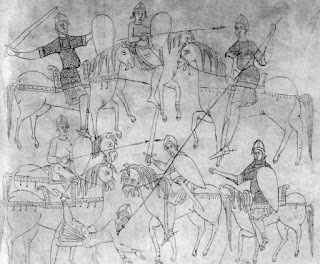 I am aware that many of them are not from the Early Middle Age or from territories of Viking influence. 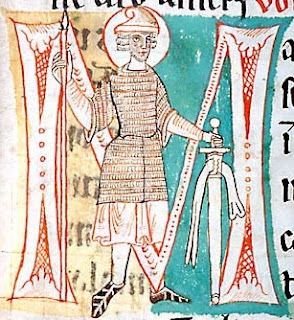 Even so, I have included them because they present a good approach to the use of undermail armour, being this a common problem in all the early medieval societies. Manuscript: BNF Latin 6 (1) Biblia Sancti Petri Rodensis (Roda Bible), folio 99v. 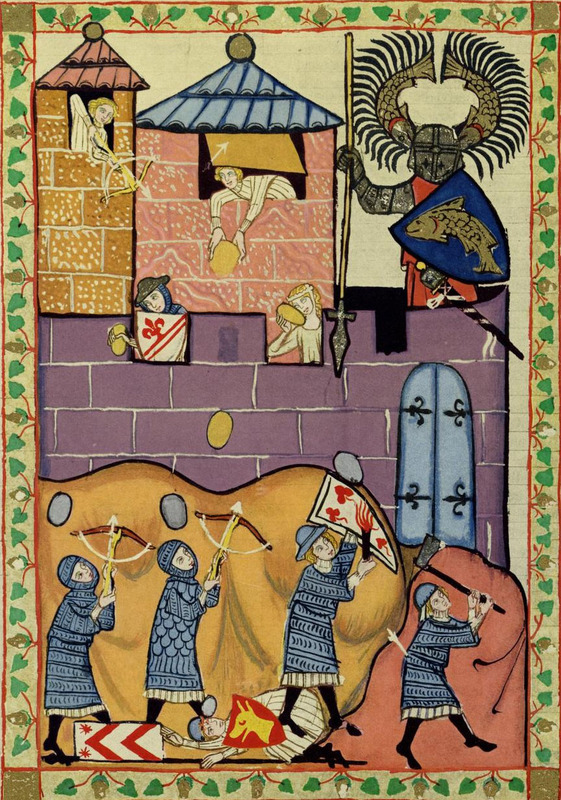 Observations: The soldier with the spear and helmet, and one of the death soldiers seems to have nothing else than their tunics under the chainmail. 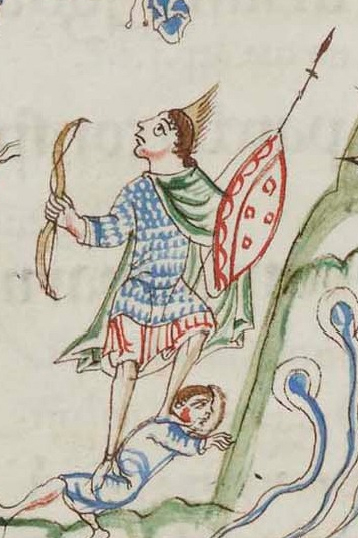 Manuscript: Cambridge MS R.17.1 Eadwine Psalter, folio 248r. 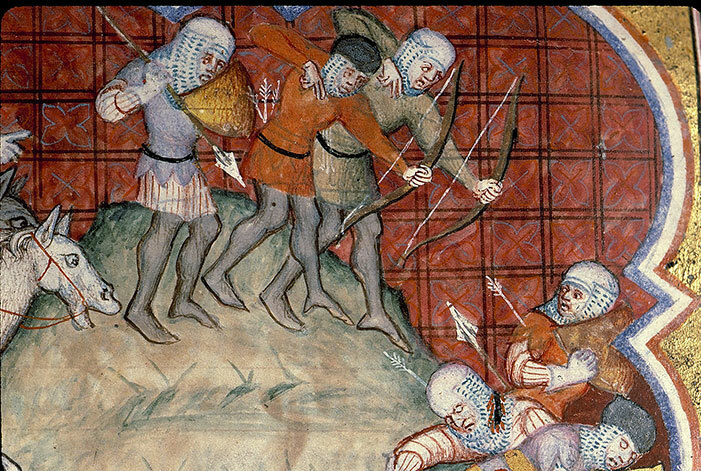 Observations: All the soldiers with chainmails seems to have nothing else than their tunics under the chainmails. 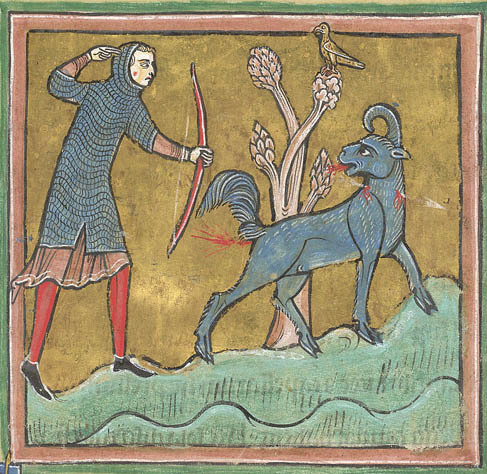 Manuscript: Cambridge MS R.17.1 Eadwine Psalter, folio 27v. Observations: Just a tunic under chainmail. 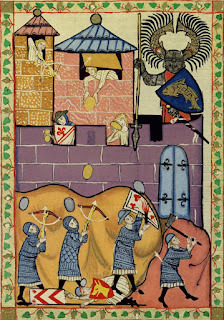 Manuscript: Le Mans BM MS.263 Naturalis Historia, folio 10v. 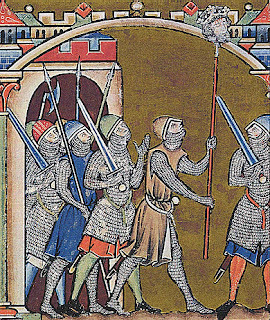 Observations: Just a tunic under chainmail (left). Manuscript: BL Cotton MS Nero C IV St. Swithun Psalter (Winchester Psalter), folio 14r. 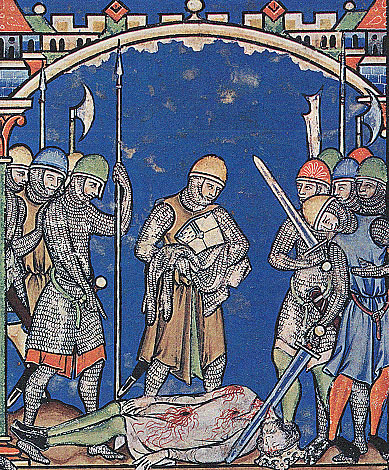 Observations: Just a tunic under chainmail (left and center). Manuscript: BL Harley 2889 The Siegburg Lectionary, folio 41r. 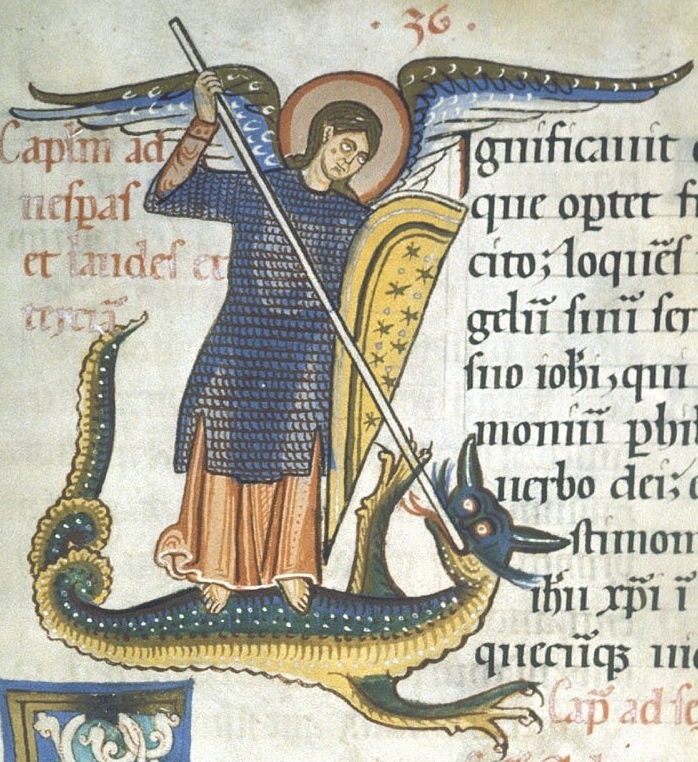 Manuscript: DBH MS St. Godehard 1 St. Albans Psalter, folio 42. Observations: A soldier seems to have two tunics under chainmail (left). 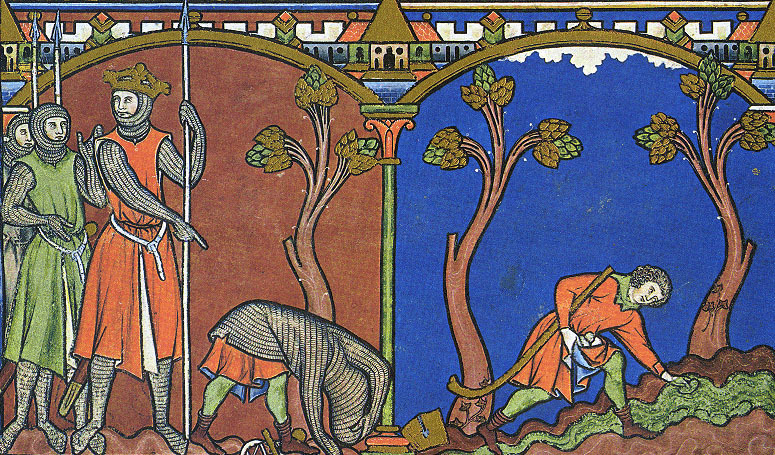 Manuscript: BNF Latin 6 (3) Biblia Sancti Petri Rodensis (Roda Bible), folio 145r. 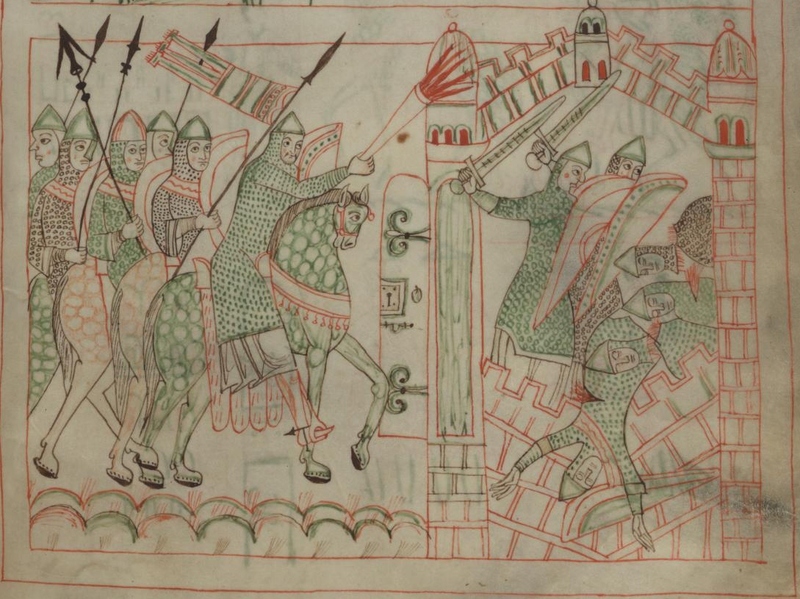 Observations: Just a tunic under chainmail (top right and left). Manuscript: Walters W.30 Gloss on Lamentations of Jeremiah, folio 3r. 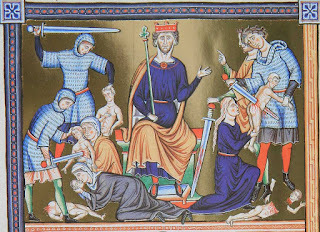 Manuscript: Cambrai BM MS.528 Homiliaire, folio 61v. Observations: Just a tunic under chainmail. 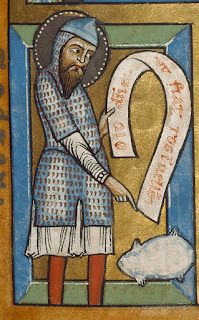 The golden rim could be an ornament for the chainmail or maybe another tunic (left and center). 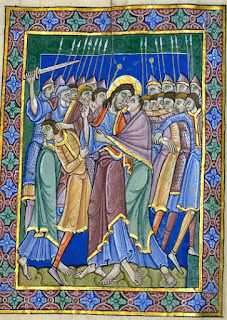 Manuscript: BL Additional 17738 The Floreffe Bible, folio 179v. 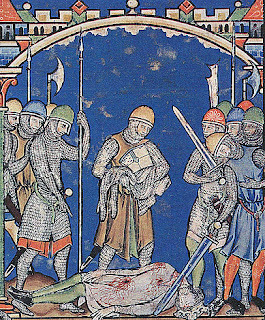 Observations: Just a tunic under chainmail (center). Manuscript: BL Yates Thompson 2 Collectar, folio 37r. 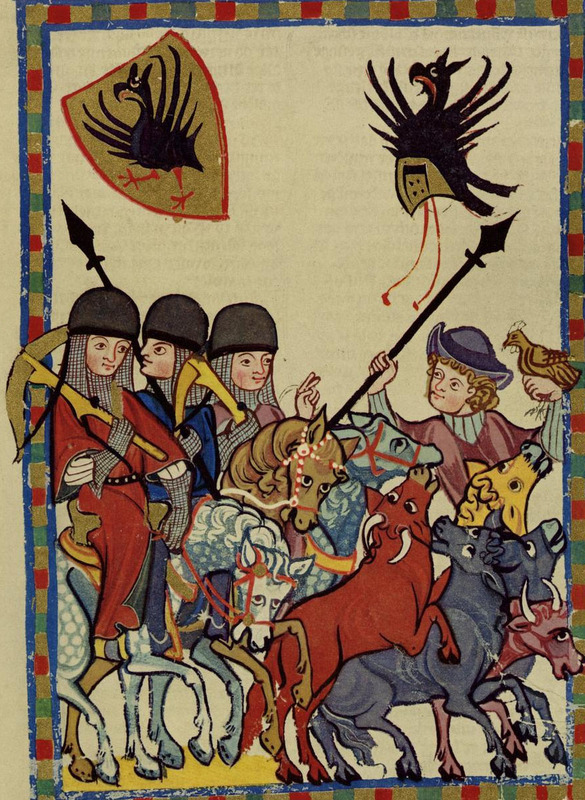 Manuscript: UBEN H62/Ms1 Gumbertus Bibel, folio 268v. Manuscript: Getty MS. 64 Stammheim Misal, folio 92r. 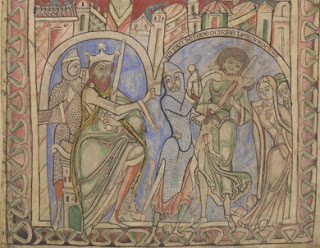 Manuscript: Musée Condé MS.9 Ingeborg Psalter. 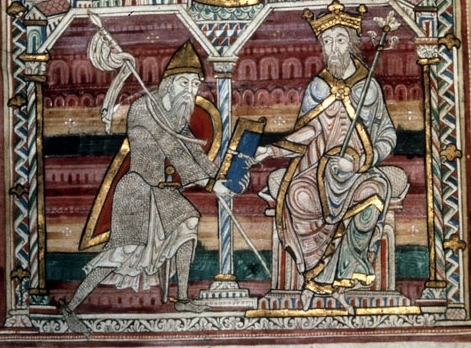 Observations: Just a tunic under chainmail (left and right). 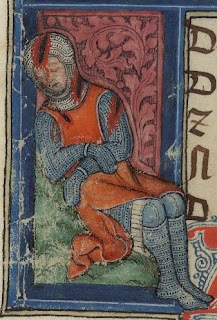 Manuscript: BL Cotton MS Titus D XVI Psychomachia, folio 26v. 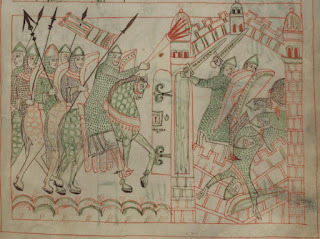 Observations: Just a tunic under chainmail (center). It's important to note that the woman who is thrusting is not using too much force, reinforcing the idea of using just tunic/s under armour. 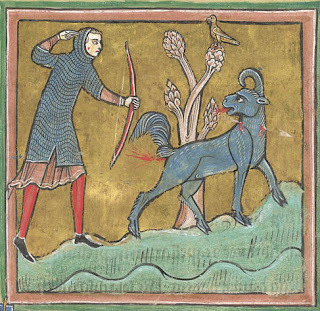 Manuscript: BL Royal 12 F XIII The Rochester Bestiary, folio 16. 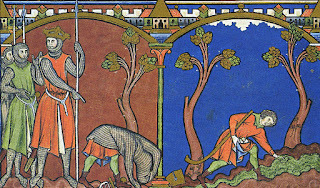 Manuscript: Morgan M.739 Book of Hours, folio 149r. 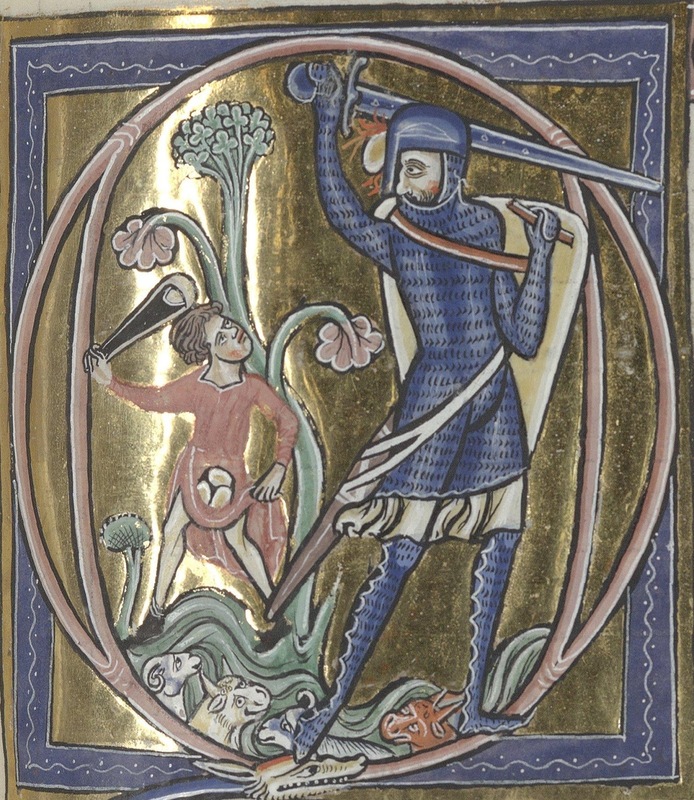 Manuscript: Morgan M.739 Book of Hours, folio 24v. Manuscript: BNF Latin 7330 Liber Astrologiae, folio 12v. 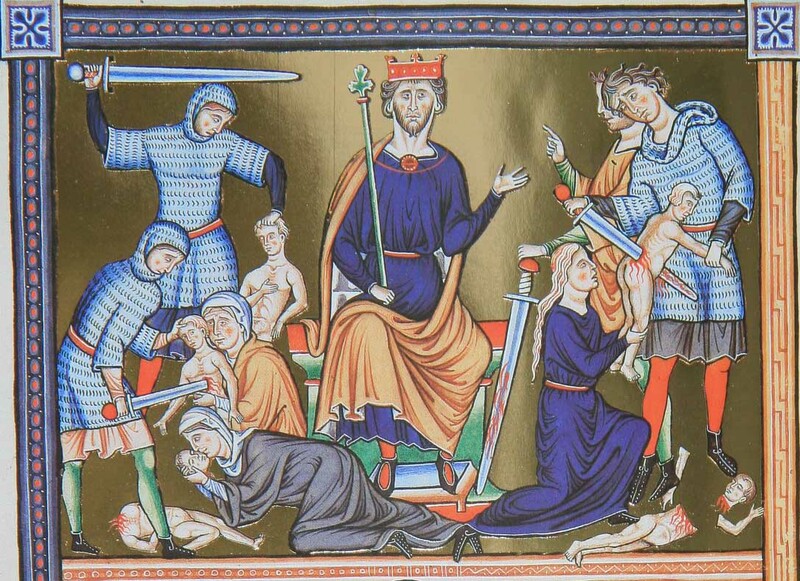 Manuscript: BNF Arsenal 1186 Psalter of St. Louis and Blanche of Castile, folio 77r. 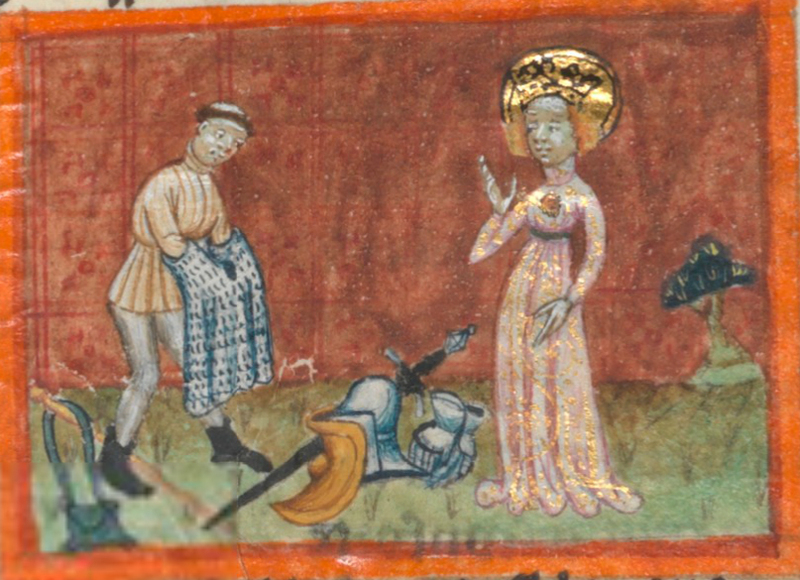 Observations: Just a tunic under chainmail (right). 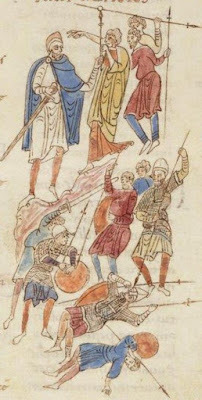 Some people might say that these images are not a very accurate source since they were made by monks that were not involved in the military sphere, and/or that didn't paid too much attention to this kind of details. I don't share this opinion. 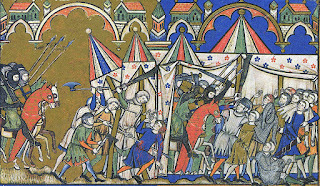 First of all, it is false that the monks were not part of the military world in the middle ages. We just have to remember that the first fencing treatise (Walpurgis Fechtbuch - MS I.33, wrote in the 1320s) was made by a priest and keeped by Franconian monks until the 1500s. 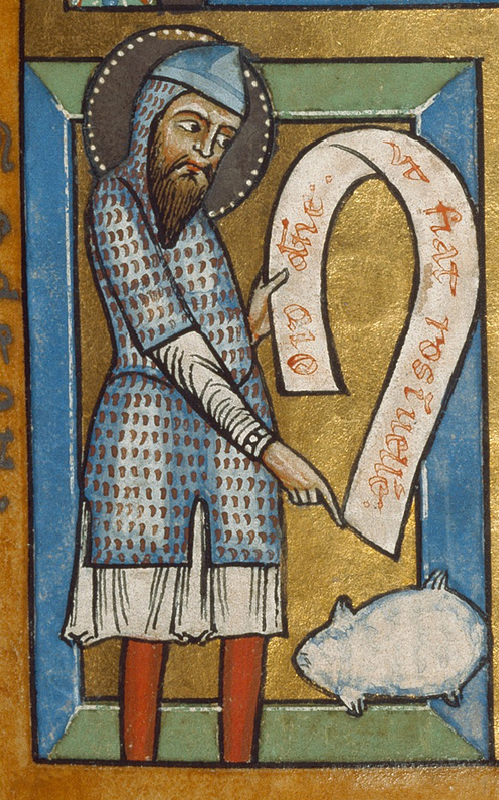 Besides, some of these men dedicated their lives to this kind of activity (making illuminated manuscripts), so their level of detailing is beyond questions. 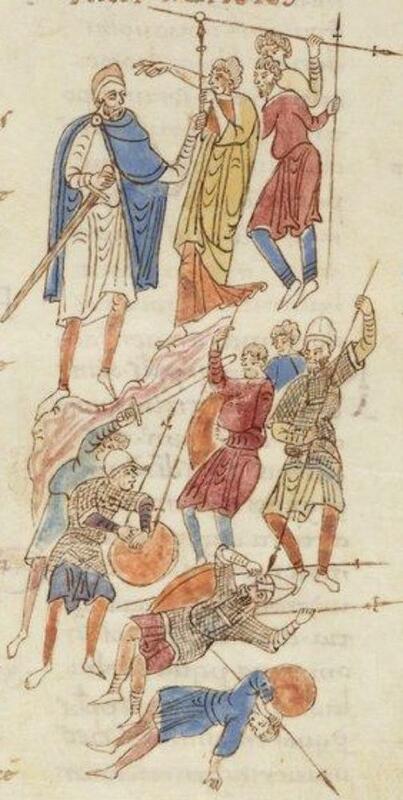 Nevertheless, if you want more evidence, we will see that these monks took the time to paint even the minor details of padding armour used under the chainmail, allowing us to ensure that if they painted soldiers using just tunics under armour, it's because it was really used that way. Manuscript: UBH Cod. Pal. germ. 848 Codex Manesse, folio 229v. 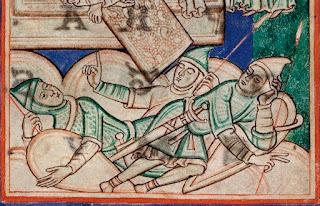 Observations: Lineal sewed gambesons under chainmail (bottom). You can compare it with the ones used by the defenders. Manuscript: UBH Cod. Pal. germ. 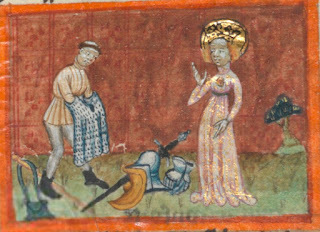 848 Codex Manesse, folio 359r. 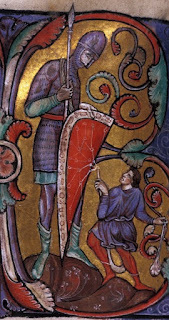 Observations: Lineal sewed gambeson weared under the tabard (left). Manuscript: UBK 2º MS. poet. et roman. 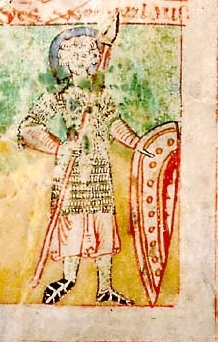 1 Willehalm-Kodex, folio 5r. 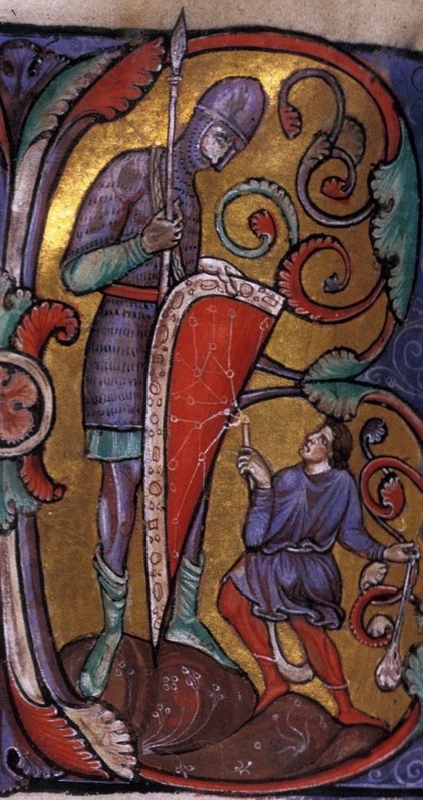 Observations: Lineal sewed gambeson under chainmail. Manuscript: Bib. Ste. Genevieve MS.777 Decades, folio 189v. 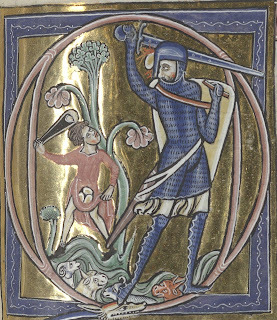 Observations: Lineal sewed gambeson under chainmail (left). 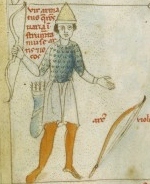 Manuscript: Arras BM 845 Roman de la Rose, folio 208. 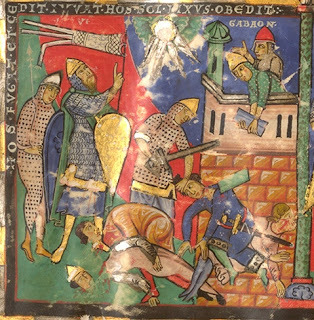 The beautiful and well known Maciejowski Bible also provides some good and interesting evidence. 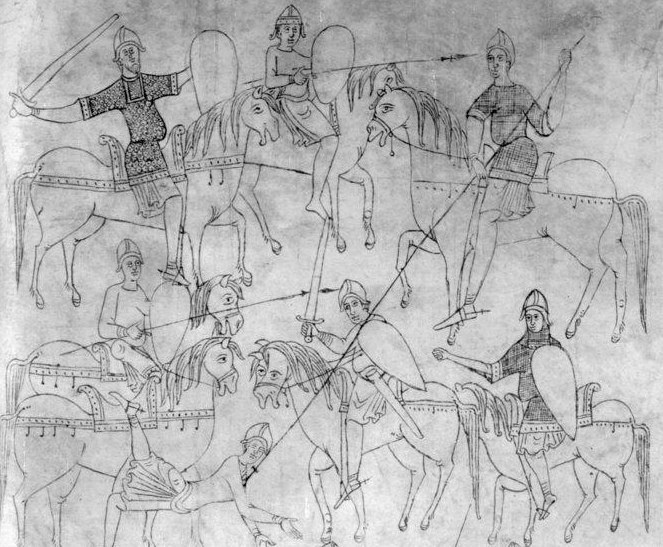 As you will see, many of the soldiers are shown using chainmails and gambesons (separately). However there are some examples that show that even in times where the gambeson was already popular in the medieval armies, some soldiers still used just tunics as padding for their chainmails. Manuscript: Morgan M.638 Maciejowski Bible, folio 3. 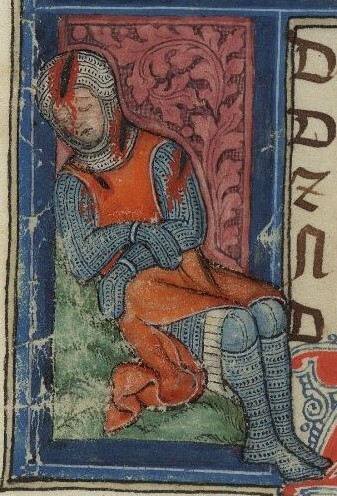 Observations: A soldier is putting on his chainmail using just a tunic under it (right). 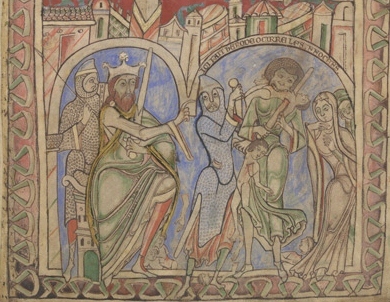 Manuscript: Morgan M.638 Maciejowski Bible, folio 28. 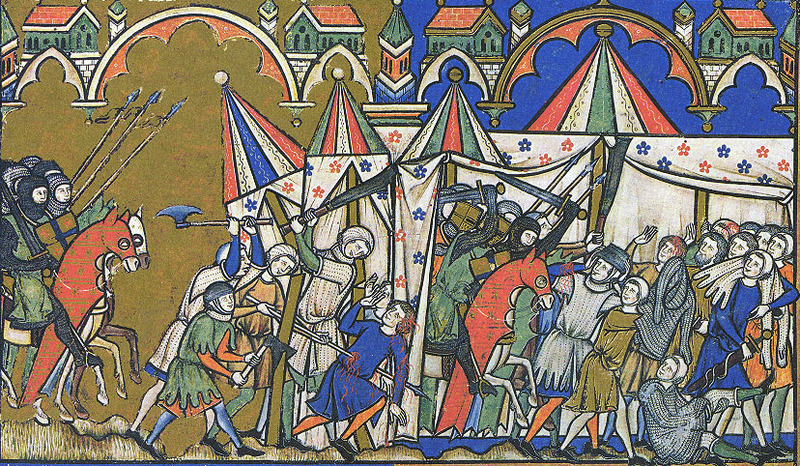 Observations: A soldier is removing his chainmail and is using just two tunics -red and blue- under it (center). 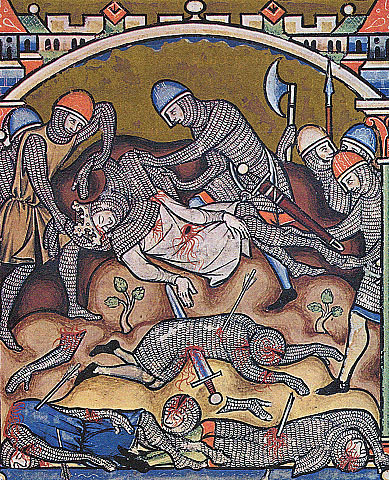 Manuscript: Morgan M.638 Maciejowski Bible, folio 35. 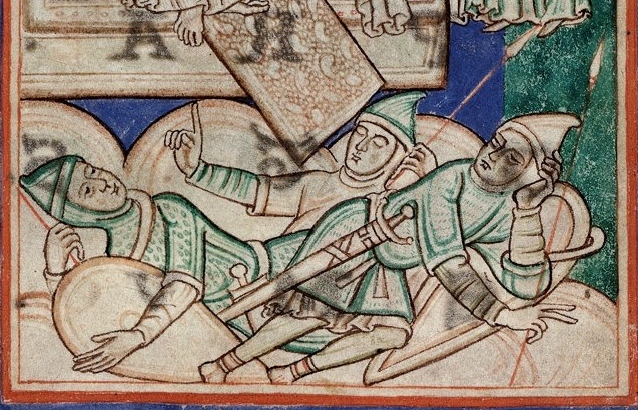 Observations: Two soldiers remove the chainmail from a fallen king, who was just using a tunic under it. 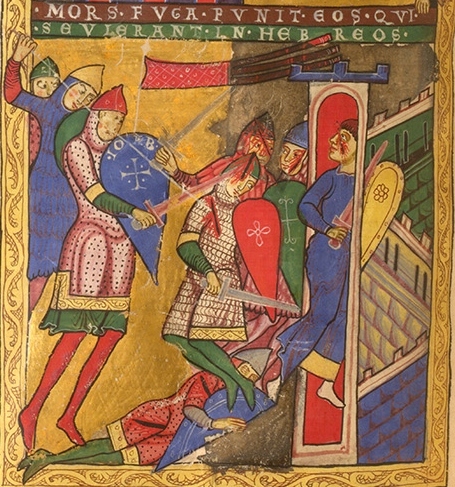 Observations: A soldier holds the helmet and chainmail from a fallen king, who was just using a tunic under it (center). 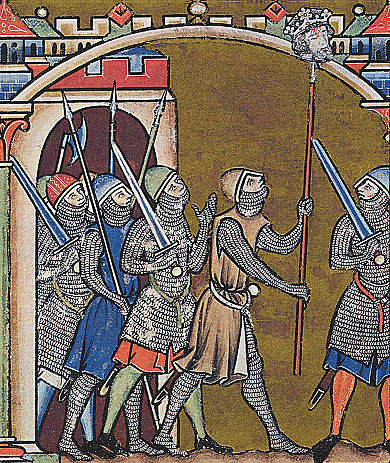 Observations: Some soldiers are just using a tunic under their chainmails (left and right). Due to the lack of evidence of padded armour for the Viking Age period we have to rely on the pictorical evidence of other early medieval societies (some of them who had direct contact with Scandinavia) that also used chainmails as part of their fighting gear. 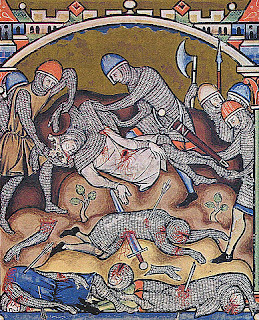 Based on that, we can dare to say that the common custom was to use various tunics under the chainmail. It looks that this would provide enought padding to hold the hits from different weapons during battles. 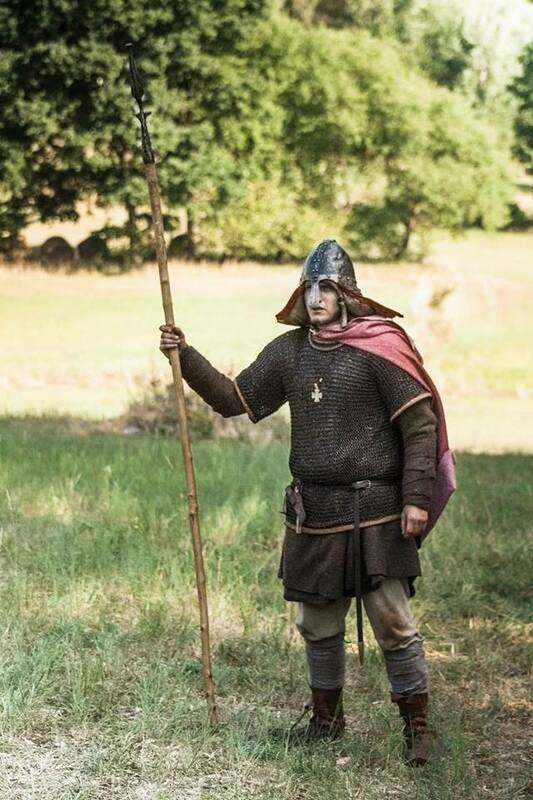 Considering the evidence, some reenactors have started looking for alternatives that are more historical accurate that the use of a gambeson, at least for viking-early medieval reenactment. For what I've seen, some of them have decided to use two thick woolen tunics or a leather one under their armour. In their oppinion, the level of protection it provides it's more than enough to satisfy the safety standarts withouth using anachronichistic gear. Mi nombre es Juan José Velásquez. Soy historiador de la Universidad Nacional de Colombia, Sede Medellín. Actualmente me encuentro realizando mi Maestría en Historia en la misma institución. 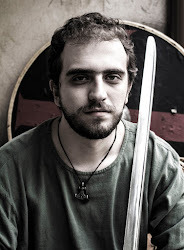 Soy también director de la agrupación Skald - Recreación Histórica Vikinga. 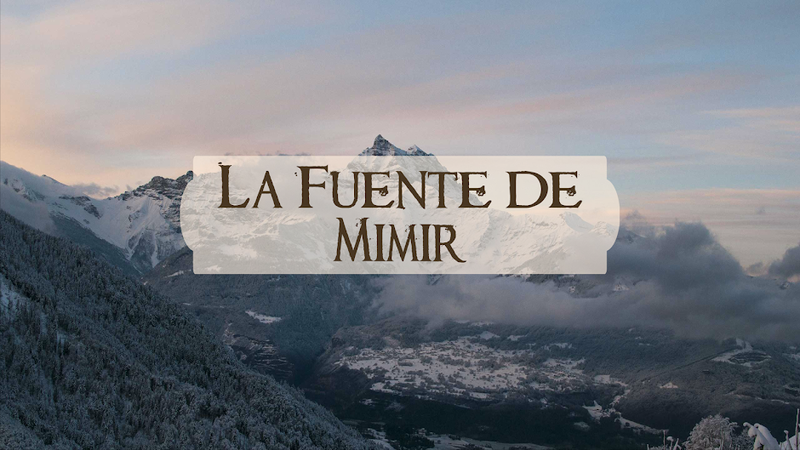 Desde hace años he estudiado con cuidado el período conocido como la Era Vikinga, tema que desde el comienzo suscitó en mí un gran interés y que se ha vuelto parte fundamental no sólo de mis estudios, sino de mi vida. También es de mi interés y he trabajado con temas de historia colombiana y latinoamericana, especialmente de los siglos XVI, XVII y XVIII.